Normally, emailing PDF files is done by simply attaching the file and sending it. This is the most common method for small size files. However, emailing large PDF files could be hectic at times. It can cause the app to hang or probably the entire system. This is because large PDF files contain a lot of data and finding a simpler way to send them can make the emailing process faster. In this article, we shall thus explain how you can email large PDF files with ease. Read on to know about this simple yet effective solution below. 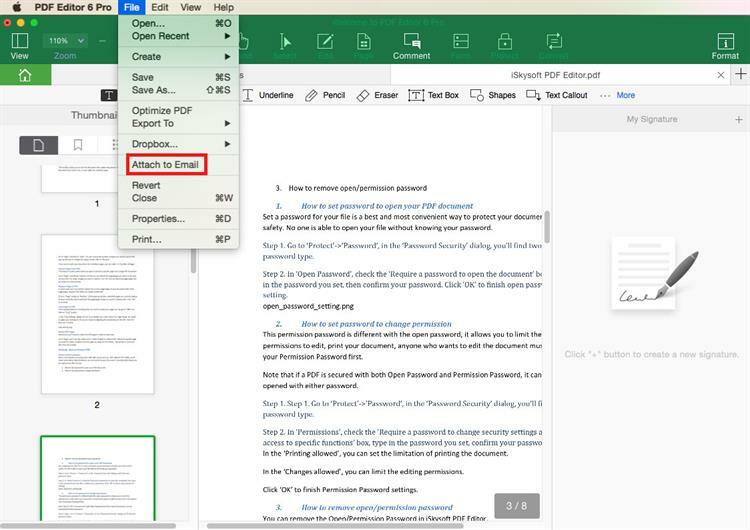 How to email a large PDF attachment can simply be achieved by using one highly recommended software for the job that is the iSkysoft PDF Editor 6 Professional for Mac (or iSkysoft PDF Editor 6 Professional for Windows). The steps to email a PDF that is too large are concise and can be easily understood. The software supports emailing of large PDF files and this, therefore, makes it very valuable besides having functions such as converting and editing that can help you to easily adjust your PDF files. 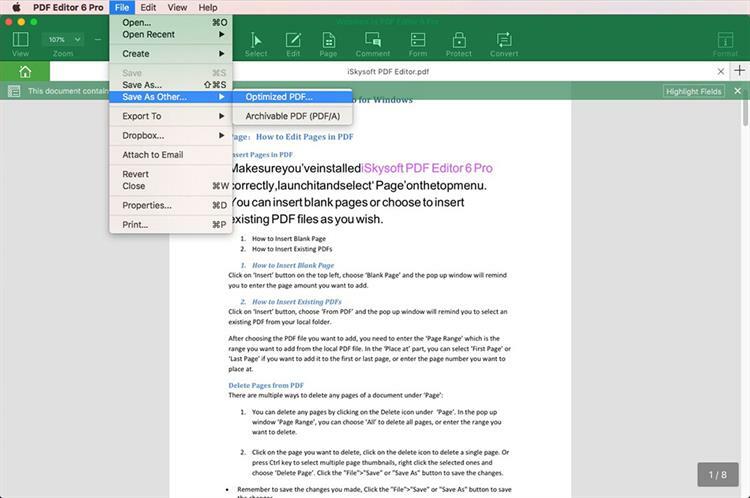 So, let us learn how you can email large PDF files using the iSkysoft PDF Editor 6 Pro tool for Mac. Note: Now, first of all, download the software from the official website. You can opt for the free trial period on the page. 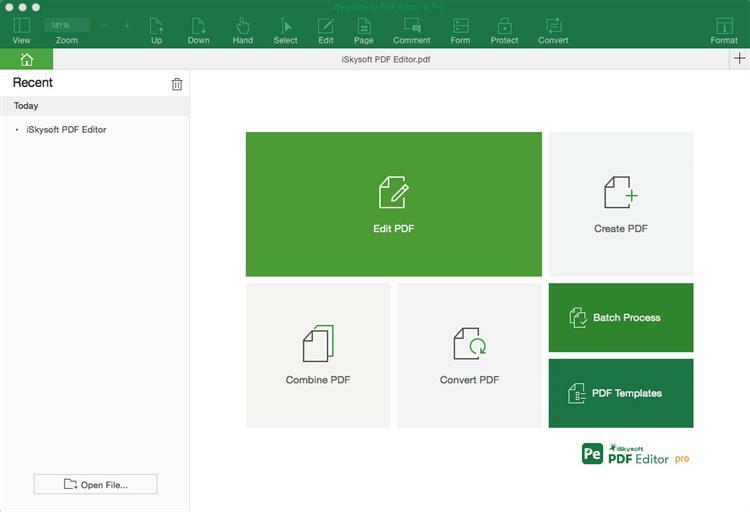 Also, while using iSkysoft PDF Editor 6 Pro to email large PDF files for free you would need a good network connection to successfully send the email attachment. With the program installed, you may then proceed to launch it. Next, import the file to be emailed. Using the "Open File" on the software dashboard, you can import the file. One can also use the Drag and Drop option to import the file as this feature is fully supported. When the file has been imported, there is the option to optimize the file. This can be achieved various different ways. First off, you may start by clicking on "File" to use the "Optimize PDF" option. This option helps in compressing and changing the size parameters of the PDF file for easy sending of a compressed file. Other than simplicity in sending a smaller file, it will also reduce the time taken to send it. The other option, though not common, although may come in handy when you think of how to email a large PDF file is by splitting the PDF file. 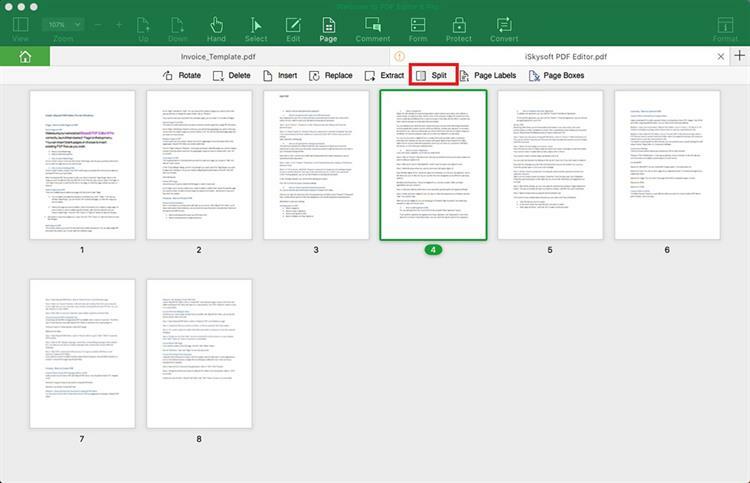 To split the file, click on "Document" then select "Split Document" to separate the document into smaller sizes. One can then easily send the smaller files one-by-one via email. Finally, to actually send the PDF file, you will need to click on "File" on the Top Menu. Once the options have been provided, select "Attach to Mail". Provide the recipient's email address and hit send to send the PDF file. iSkysoft PDF Editor 6 Professional for Mac (or iSkysoft PDF Editor 6 Professional for Windows) comes with advanced state-of-the-art features and functions. These functions are what make it stand-out. The features are mentioned below. When it comes to the operation of the software, it is very easy to use and very high performing. With superb execution, the software is very stable and even supports batch process. A major relevance that makes the software's use essential is that, because of its functions, it can be used in many diverse fields, be it business, legal or medicine and it will prove worthy. Besides the features, the software layout is eccentric supporting other features such as drag and drop to import files and other smart attributes. Other than that, it also comes with another smart design. That is the software will regularly update. The software supports emailing large PDF files. With the Bates Numbering, indexing and organization of files are very easy. It supports an OCR feature for thorough scanning of files. Annotating, converting, editing, merging and splitting of files are supported. One can decrypt, encrypt and redact, that is secure and copyright file with the software.